Beccles Marsh Trail01603 610734work Walking RouteWhat’s it like? The marshes are grazed by cattle and are criss-crossed by small dykes. Various shorter routes are available including a circular easy access route (see signs on the walk). In spring coots, moorhens and swans nest in the dykes. You may hear lapwings, and the first flowers appear, usually yellow, the most attractive colour for insects, and also the first butterfly, the brimstone, again yellow. In the summer more plants are in flower such as marigolds, mallow and purple loosestrife, and you might even see the blue flash of a kingfisher. Late summer brings butterflies like peacocks, painted ladies, red admirals and commas, as well as dragonflies and damselflies. 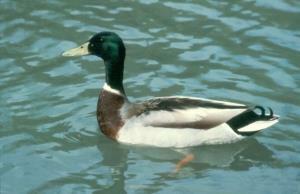 In autumn the oak leaves are changing colour and in winter ducks and geese inhabit the wet fields. Birds of prey such as kestrels, harriers, buzzards and owls hover, looking for small mammals. meeting the river wall. The causeway also has evidence of later Roman additions. The dyke systems on the marshes originate from medieval times. Worlingham Wall is a medieval flood defence on the route which divided Beccles Marshes from Worlingham Marshes. These flood walls divided the common marshes of each parish where parishoners had the right to graze animals.